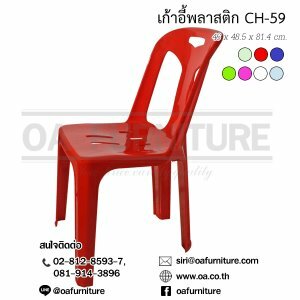 หน้าโต๊ะ HDPE(Hight Density Polyethylene)สีขาว หนา 45 มม. 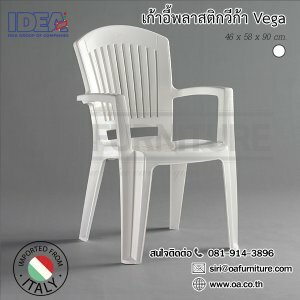 ขาโต๊ะ เป็นเหล็กทำสีดำเกร็ดเงิน Dia.28.00 x T 1.00 มม. Product Size W183.00 x D76.00 x H74.00 CM. 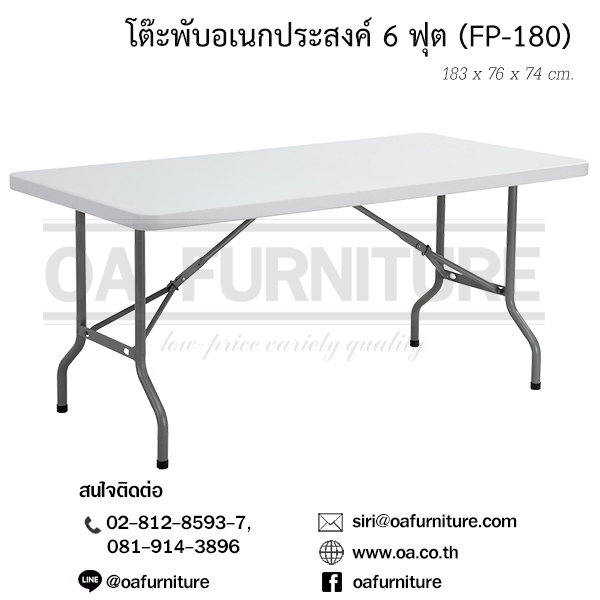 Our folding table tops are constructed of high impact polyethylene and are stronger, lighter and more durable than wood. Sturdy Double-Wall Construction Provides a Stronger, More Durable Tabletop. Support Channel Spanning the Table Length. Will not crack, chip or peel. 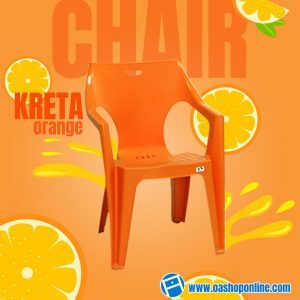 Built for Indoor & Outdoor use. The patented 18-guage steel frame provides a sturdy foundation and is protected with a powder-coated finish. Cross Members For Superior Table Strength. Solid Steel Leg Locks with Integrated Frame Design and Cross Brace & Center Support Brace.